When you give out promotional items to your clients, your aim is to capture interest and attention for your brand. You automatically send a message to everyone who receives and sees your promotional product—Are you fun? Are you creative? Are you innovative? We spoke to the pros, who shared their ideas for unique promotional items ideas. Some of these items as well as many other products can be branded with your personal logo and ordered from Inkhead. Whether it’s silly stress balls and fun lip balms or practical multifunction tools and flash drives, you’ll find the right gift that speaks to what your business and brand is all about. Browse products from Inkhead. Putt A Round is a fun, portable and interactive golf tool. It is great for an office environment, and the gift is small enough to easily send to clients. The golf tool offers a huge selection of colors and you can print company logos, photos or personal design on the flags. Our products are considered one of the stickiest promotional products in the industry. Ten years down the line, they are still sitting on someone’s desk or in their home promoting our client’s brand imprinted on these gorgeous rubber ducks. Our new line of rubber ducks will blow your mind and would be perfect for your audience, especially for babies and people of all ages. ESPN even voted us the fan’s favorite giveaway—beating out bobbleheads, Beanie Babies, Matchbox cars, lunch boxes, etc. On the homepage of CelebriDucks, you can see all the different ones, like Harry Ponder (top-selling duck, of course! ), Spa Wars, Goosebusters, etc. 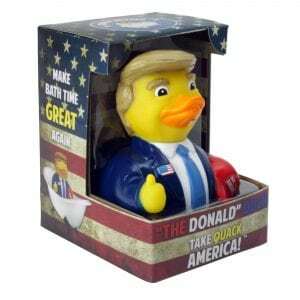 Oh—and our The Donald Duck is now our top selling item… who knew!!! 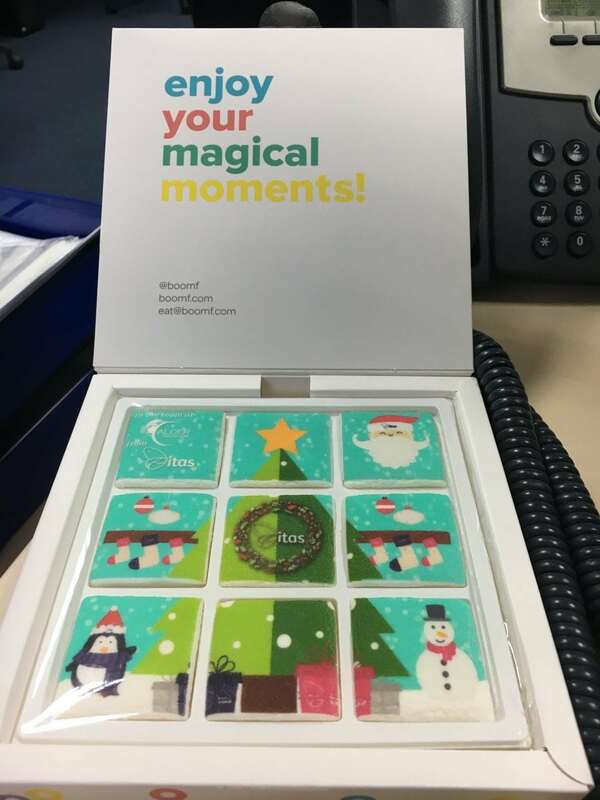 A creative and unique promotional product we used this Christmas was Boomf personalized marshmallows. We designed a graphic including our logo and uploaded it to Boomf, where it was spread over nine tasty vanilla marshmallows. Almost all of our clients responded back, saying how much they loved them… success! We use a branded, reusable, insulated lunch tote as a promotion for our starter kits. They are bright green, so when a client gets one and walks around a trade show, many people ask where it came from. 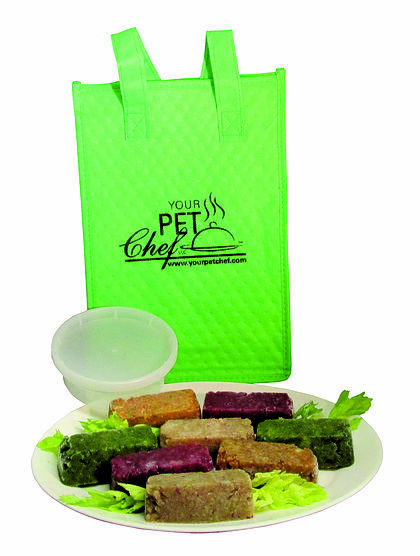 It also keeps our brand front of mind as they use the lunch tote for either their lunch or to bring their dog’s treats and snacks to doggy day care. 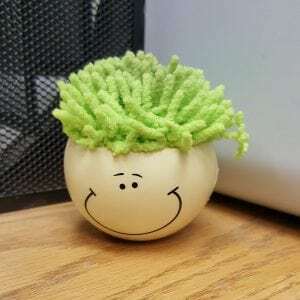 How about something fun for the desk! This stress head is a great conversational guy! 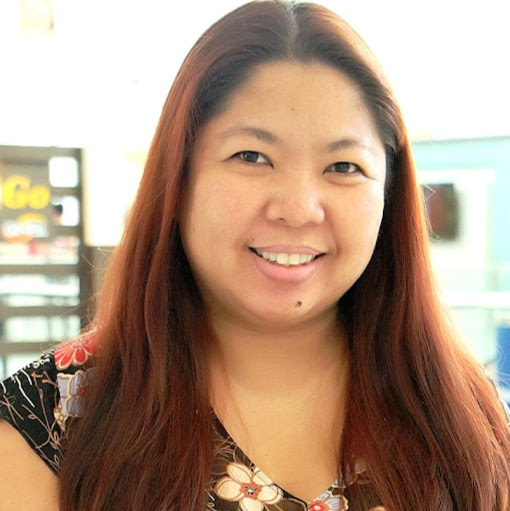 Hand one over and watch your clients squeeze away while they chat with you or on the phone! His head is a stress ball with the topper being a microfiber cleaning cloth. The back has a great logo imprint area! 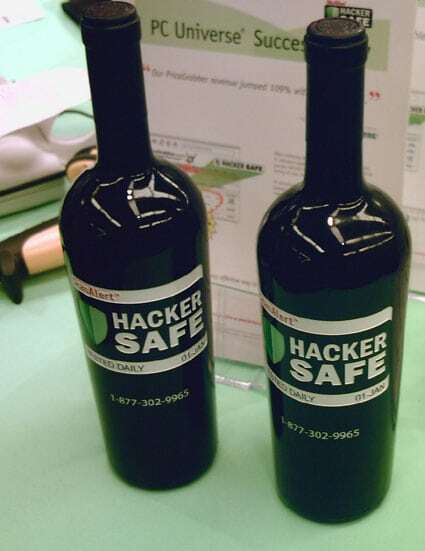 The most impactful promotional product I’ve ever done personally was etched wine bottles. I worked with a local winery and an artist who ran an engraving business to create these bottles. We used them at events and shipped them to key accounts, customers we really liked, and friends of the company. To adapt this to another business, I would modify something locally made that’s associated with the region. For example, if I was in the state of Washington, I might price out a run of hard cider packaged in customized cans. Branded phone screen cleaners are the way to go! They’re small (one inch by one inch, give or take), stick to the back of your phone, and people love them. You just peel it off, wipe your screen down, and stick it back on. Now that person sees your brand every time they pull their phone out (which is a lot). 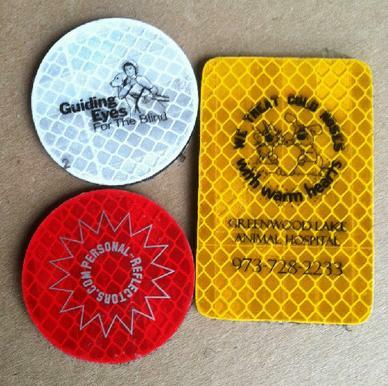 Printed coasters are a great way to get your brand out there. 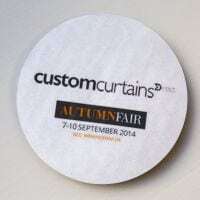 We have attended trade shows where we have placed our coasters around the venue. They included a map to our stand, but you could customize this idea and tailor it to your own company. With everyone drinking tea and coffee, it was a fantastic success—people came to our stand because of our coasters! Customized seed packets are a great way to “grow” a business or promote an event. Options range from off-the-shelf packets that can be customized with a quick label to fully customized packets. My favorite off-the-shelf choice is Bee the Change flower seed packets that grow wildflowers that pollinators love. This is an inexpensive item that people love. 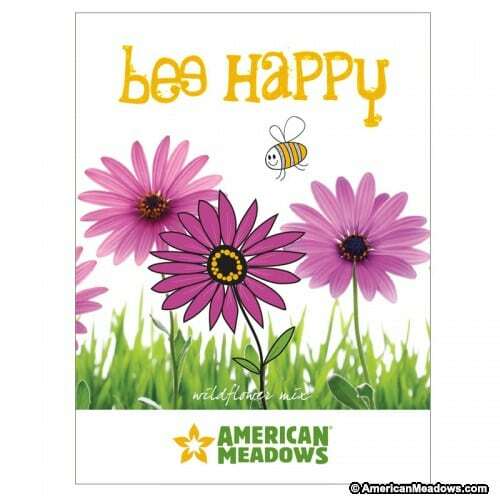 I order mine from American Meadows. I love books of matches! Everyone keeps matches and the cover and interior provide a ton of help for branding and innovative copy. They’re also incredibly portable, low cost per piece, and can feel really luxe. The only downside is a big minimum order for custom work and a long lead time. A client in manufacturing whose customers were mostly factory management and employees had amazing results giving out trucker hats. That’s not an entirely obvious promo product, but worked incredibly well for the target market. Nowadays, people are very conscious about work-life balance, so they value opportunities to travel and take them as often as they could. 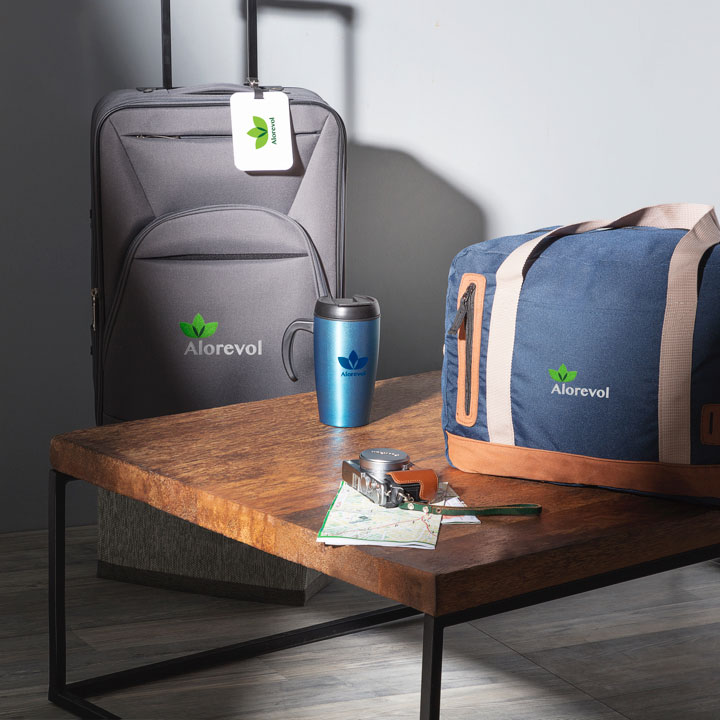 Offer branded travel gear like luggage, duffel bags or luggage tags and show that your company is all about supporting a healthy and balanced lifestyle for your customers. A reusable water bottle is great way to show you care about the environment, and being glass, that you care about the person who is being given the item. Glass does not leach harmful metals or chemicals into your water and is BPA-free. And water just tastes better from glass. 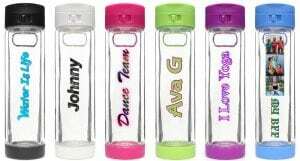 The bottles can be customized with logos or any design customers create, and there are also inserts that can be customized so you can change the look of your bottle any time. Handsocks are a new item that can be personalized for a very functional keepsake. It makes a great promotional gift for a client who recently had a baby or for your employees who are new parents. We can add a logo to the mittens, which makes for a great personalized present. They have cozy sleeves and stay on without Velcro. 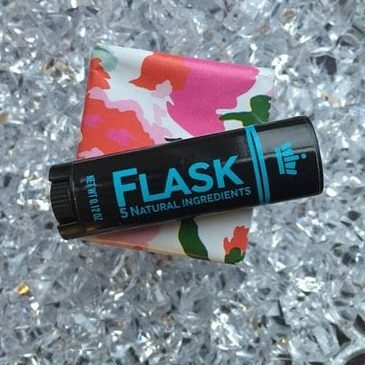 Drink Tops are ideal for use at outdoor corporate parties, events, and giveaways, Drink Tops are a useful, clever way to protect drinks from outdoor elements. They include a large printable space for logos and dates. They make great mementos and are available in solid and screen-centered styles. 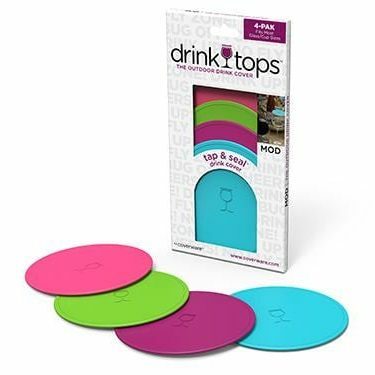 Drink Tops allow your target audience to enjoy the outdoors and their beverage with your company’s name always on top! Just cover, sip and enjoy. Reflective items make great promotional products because they are designed to draw attention to themselves. Check out Safe-Flash Reflectors for a great promotional item. 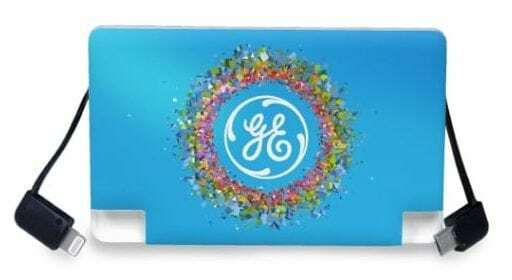 They are comprised of a higher-quality, reflective material than similar promotional items, and it’s mounted on Velcro, making it extremely versatile. 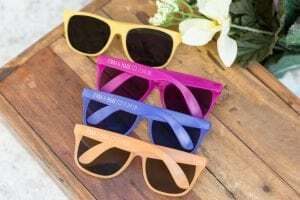 One of our most popular and new promotional items is our Sunlight Color Changing Sunglasses. These unique glasses start as a frost white color but change to one of five colors when hit by sunlight. They are perfect for companies seeking a fun and unforgettable giveaway at trade shows and corporate events. 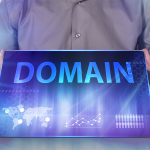 They are very affordable and a very long-term advertising tool. My business partner and I were looking for a unique way to promote our business when we’re out and about. We wanted something practical, since we’re just a couple of dads after all, but shirts and hats seem so commonplace. 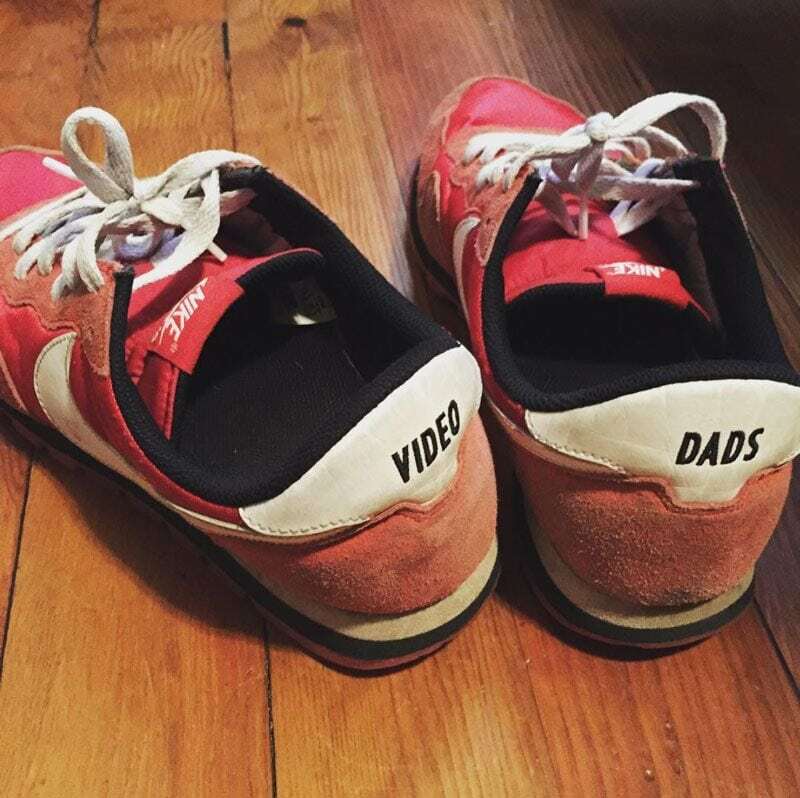 We found our answer with custom Nike sneakers. They’re a great conversation starter! 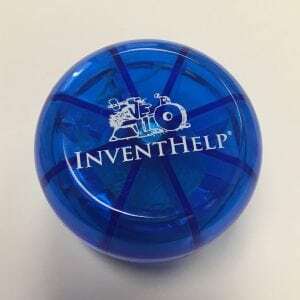 One creative promotional product I have personally used is, believe it or not, a branded yo-yo! They definitely draw people into your booth—some people even stand around and chit chat with us while we attempt to “walk the dog” and other silly tricks with our yo-yos. They are absolutely a conversation starter. 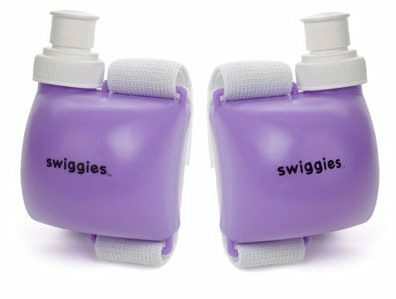 Swiggies wrist water bottles! You want a product that the public will see, like one that is worn. Pens sit in a drawer, mugs in the cabinet, and T-shirts in the closet. But a wearable water bottle is like having your own logo billboard. Promotional items help to create brand awareness—and in today’s over-crowded space, consistent visibility is hard to come by. Customizing an item that a customer can use every day with your logo is key to keeping your brand top of mind! The charger is perfect because the sticky feature does not leave any residue on the back of your phone, allows the users to leave their cords at home, and it fits all smartphone styles. Customize with a full-color imprint for maximum brand exposure. Just like dice, dominoes and playing cards, Sedis are used to play a variety of games or you can make your own. Each Sedis set consists of 60 wooden hexagonal tiles and can be evenly divided among one to six players. 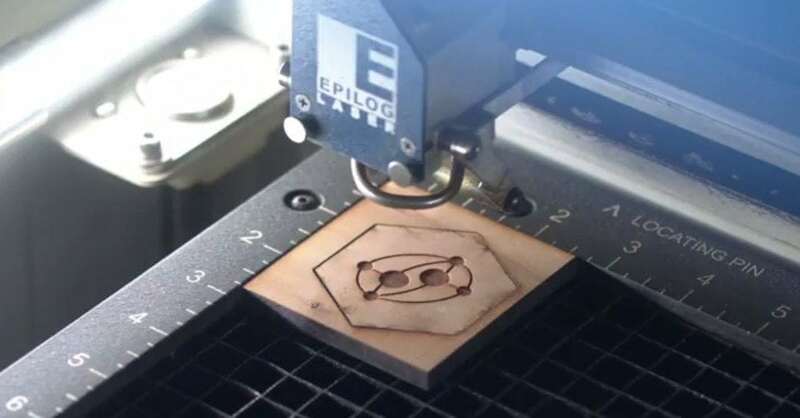 In our upcoming Kickstarter, we will be offering the perk of engraving a logo on the back of each tile in a set. Customized Sedis tiles will make a great corporate gift! In a fast-paced world, so many people don’t take the proper amount of time for their own well-being. 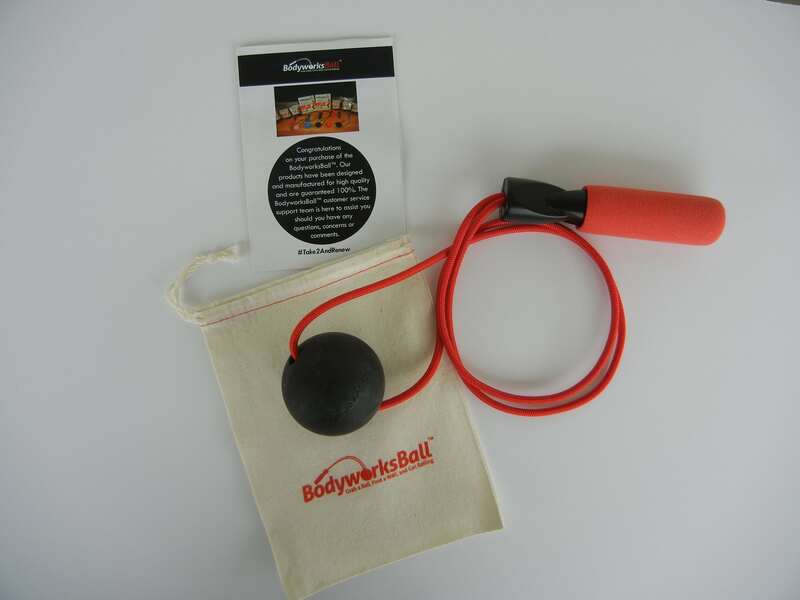 The BodyworksBall is a portable, self-massage tool for instant relief of neck cricks, shoulder knots, and relief to sore aching hands and feet. A great way to counter the ill effects of sitting, stiff necks from sitting hunched over tech devices, and aches and pains from travel. Big companies (and even small companies) are investing in wellness gifts that their clients can actually use during their work day. Our company makes very unique promotional products—all natural aromatherapy lip balms, lotion bars and gifts. They are the perfect customized leave-behind for cleaning services, spas, and anyone who wants to associate their business with fresh, tranquil scents. 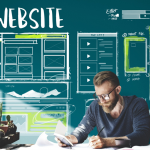 When you think about promotion, you want products that are useful and will be in your customer’s hands (and before their eyes) on a regular basis. Lotions and lip balms are a great way to stay in front of your customers with a product they use daily. We find that people frequently buy our fanny packs and have them embroidered, screen printed or heat pressed with their logos. Sororities, sports teams, events, bachelorette parties, and businesses all buy from us. 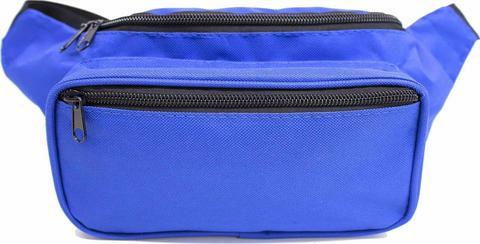 These fanny packs are a fun and practical item to share. Jesse Weinberg, Founder/President, Kindness & Co.
People increasingly value (and remember) experiences over things. 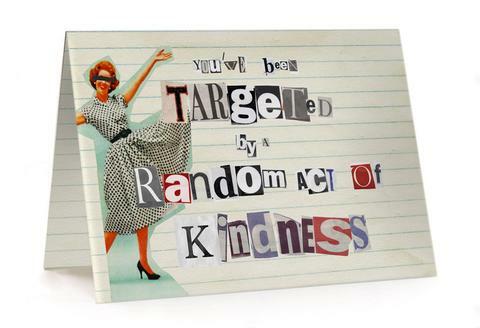 The idea behind the Random Acts of Kindness Kits is that a company buys a card (customized with their logo) from us that includes a space for the purchaser to add a dollar bill, gift card, ticket, cafeteria bucks, etc., and a little note. The kits include a bunch of fun and innovative ideas for ways the recipient can use that dollar bill, gift card, ticket, etc., to do something nice for someone to advance the ripple effect of kindness. Taking a company cruise or renting a dinner boat for a company event? Make sure everyone has an enjoyable day at sea by personalizing your company’s logo on our stylish and waterproof peppermint essential oil-infused acupressure sea sickness relief wristband. 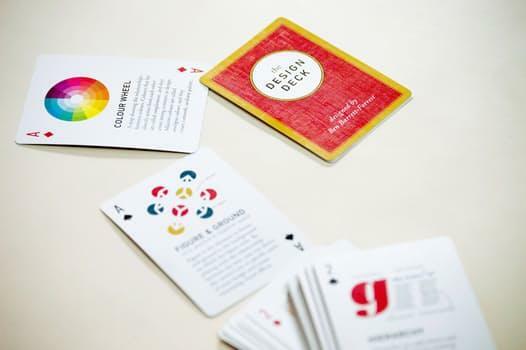 One of the most impressive pieces of tradeshow promotional items ideas I’ve ever had the pleasure of laying eyes on was a custom printed deck of 52 playing cards with the company logo on the back and pictures of their products on the front. There’s a sense of style and effort that went into it, which is both memorable and admirable. 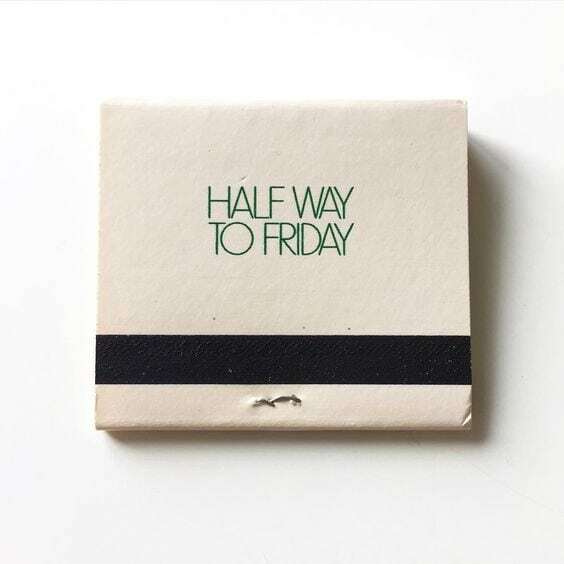 Chocolate lovers would be delighted to receive a piece of chocolate wrapped in a business card box. The wrapping is even worth keeping long after the treat is gone. Hand it out along with your business card inside anytime you want to show appreciation to your customers. You can have this promotional product and your business card ordered in one place. Vistaprint offers the widest variety of templates with an affordable price. Click here to get started. 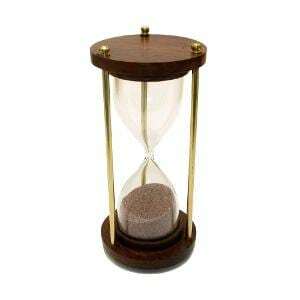 In my experience, a tastefully branded sand timer/hourglass worked like magic to keep us on the client’s desk and in their thoughts. What business person couldn’t find utility in a five-minute timer perched on their desk? With these fun and unique promotional product ideas, I’m sure there is at least one product on this list that you would like to have for yourself. Which one is your favorite? Share your thoughts by leaving a comment below! 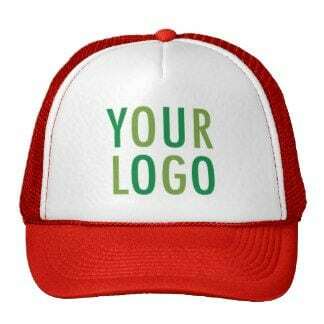 Don’t forget to check out the wide variety of brandable promotional products available from Inkhead. You’ll find the right products that will capture your brand and image as well as the attention of your customers. Shop now. I loved the promotional product ideas I think lanyards are missing from the list. The great part about them is like many of the items in this list they are actually useful to the consumer so it’s definitely worth looking into. Thanks so much! We love providing great content to help small businesses and starts ups thrive!